It’s 8:30pm in Bath, England. I’ve been camped out in my bunk for at least the past hour, relaxing and sort of trying to get back in the travel groove. I’m getting there, I think. 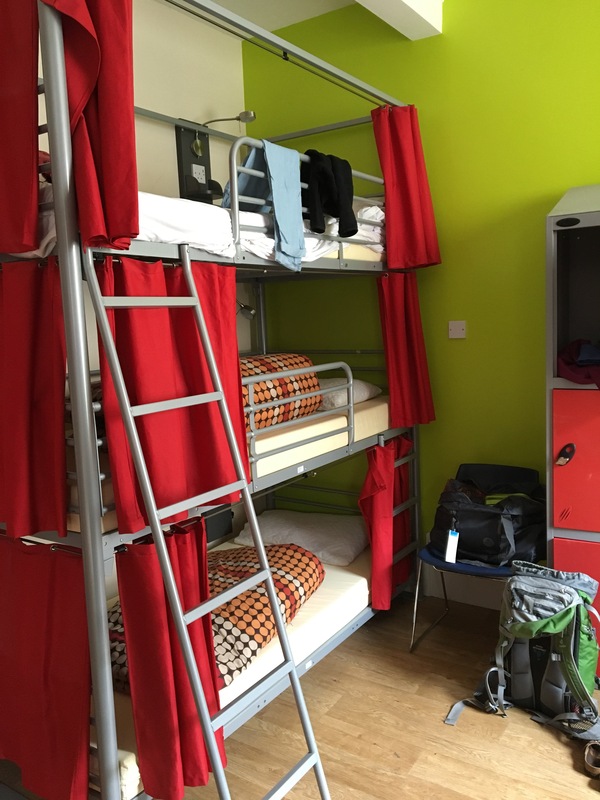 For starters, this hostel has rooms of three-tiered bunk beds; some of you may remember my excitement when I discovered these last year, on the Norte? Well as you may guess, I am indeed up on the very top bunk, and it’s perfect. There are privacy curtains and the top bunks are roomier, because there’s a lot of space between your head and the ceiling. There’s a little shelf for my water, an outlet all of my own, a small lamp, sheets and a pillowcase and a warm blanket. It might be summer, but the UK is chilly. Maybe in more ways than one? I can’t comment much on the mood here after Brexit; I’m a tourist and sort of moving through things fast and am in a traveler’s bubble. But I’m curious, my ears are perked up. So far though, the only notable news I learned of (totally unrelated to Britain leaving the EU) is that Jane Austen is going to be taking Charles Darwin’s position on the 10 pound note next year. Supposedly, many are in opposition to this, but I’m a fan. So is this why I’m in Bath, then? On a Jane Austen pilgrimage? I wish I could say I’d had this all planned out, but it’s just a happy coincidence. 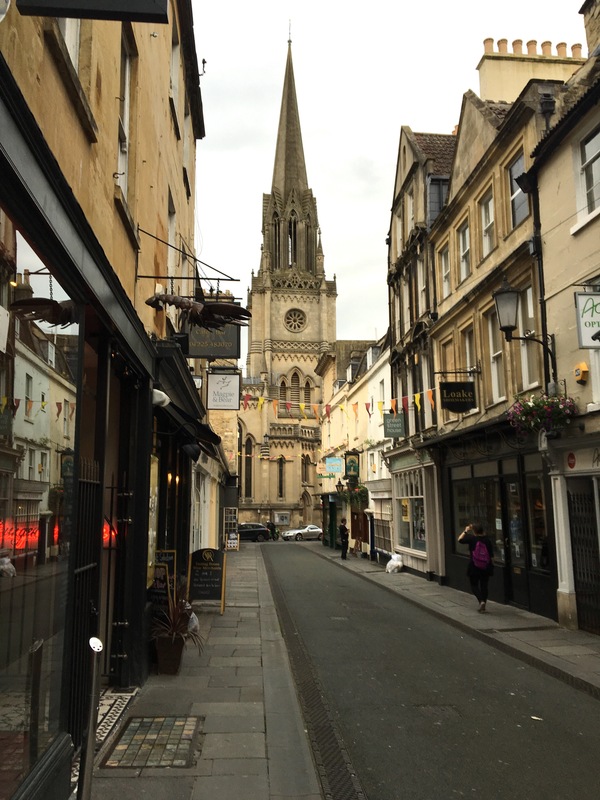 I flew into London and Bath is about a 2-hour bus ride away. It’s smaller and quainter and possibly even cheaper than London so I decided to spend a couple of days here after a friend’s recommendation. It wasn’t until I was talking to my sister (just last week!) that I thought about Jane. And then I realized that I didn’t know much about Bath and should probably do some research and what do you know? 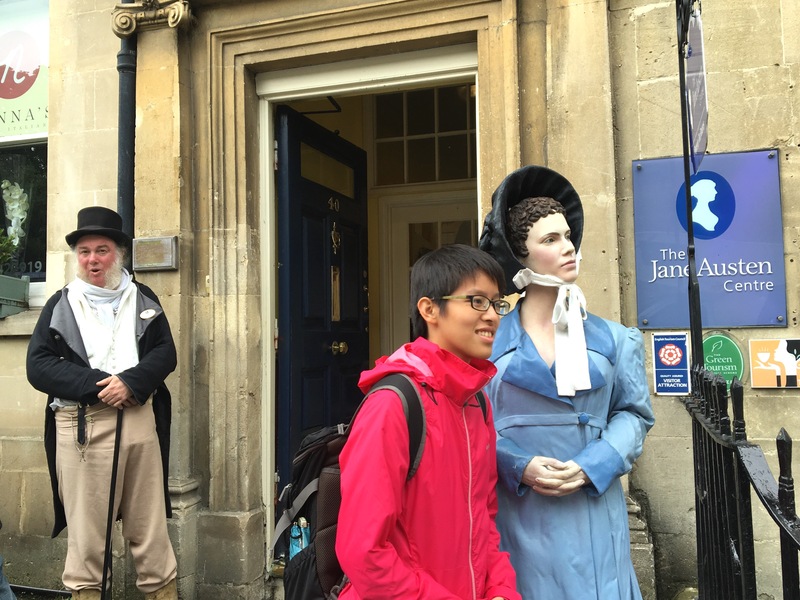 There’s an entire Jane Austen Centre here! That was my one goal for the day: hit some of the Jane Austen sites. I’m starting small, with baby steps: just one tiny goal for my first day. I’m jet-lagged and running on very little sleep and overall am really adjusting to the whole ‘travel thing’. I went into this trip sort of feeling like I know what I’m doing, and maybe I am a bit more comfortable, but there’s still an adjustment period for me. 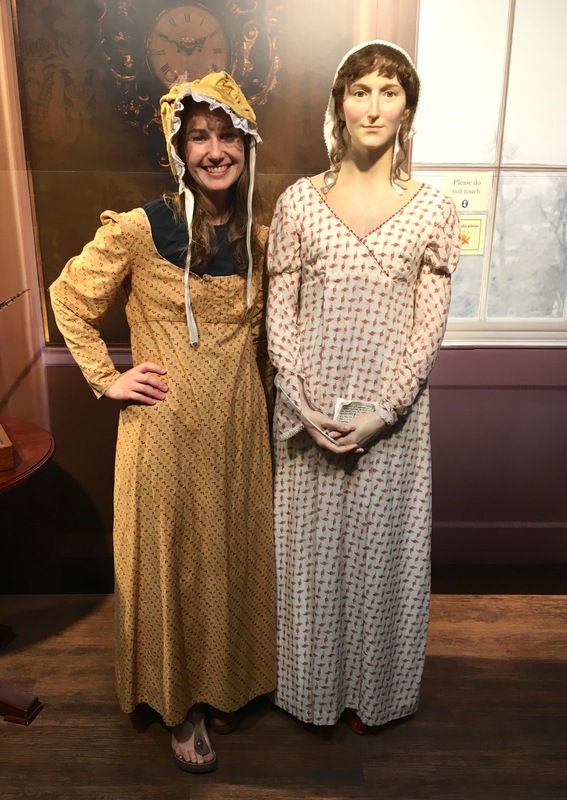 And it remains one of the more surreal experiences of my life: to one day be on my couch in my apartment, and the next day, dressed in period clothing in Bath, England. Not this specific experience necessarily, just at how quickly you can move out of your regular life into something very different, very far away. I feel like I’m floundering- just a bit- because this trip isn’t just about a Camino. I have an entire extra bag of clothing and man, does it complicate things. Where did I put that shirt, is my hairbrush in my pack or the duffel, where in the world is my soap?? I think I spent nearly 15 minutes standing in front of the locker where I shoved my things, trying to figure out what I needed for the shower. (Never did find the soap…) But, I’ll figure it out. I’ll get my travel legs under me, soon it’s going to feel like the only kind of life I’ve ever lived. So that’s the update for Day One. 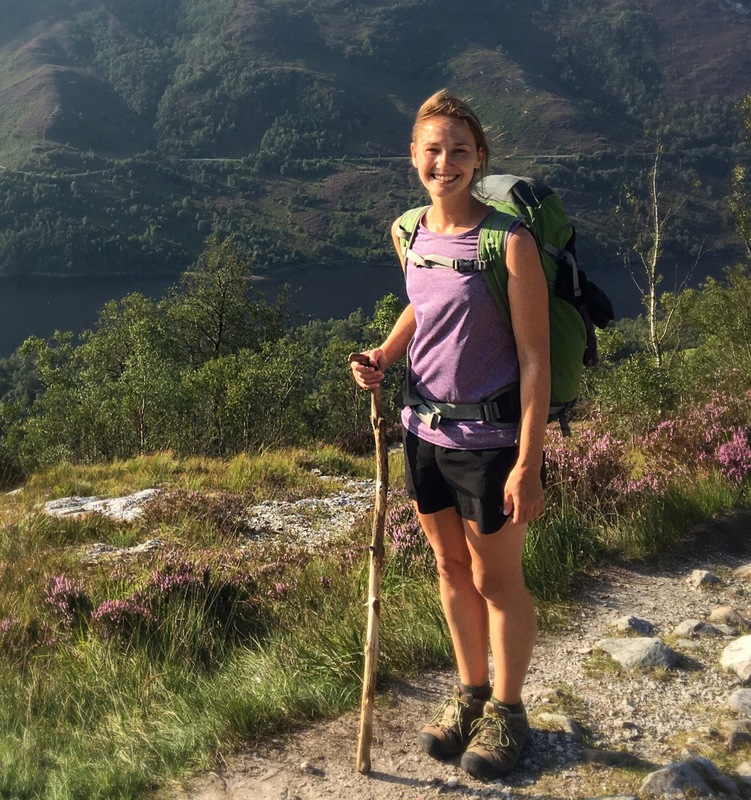 The disjointed, sleep-deprived, tippy-top of the bunk report from England. It feels a little strange, a little foreign, but overall it feels good to be on the road again. Woooahh, what a great idea to go to Bath! I love Jane Austen. I have been to England many times and have lived in London for three years but never had it occured to me to go to Bath! Thank you so much for the inspiration. Buen Camino! I am following your blog with a lot of excitement. I am gutted that you are only a short hop from my house and here I am in Malta for a conference. Welcome to England. Nadine, if you have time to post, how do the people around Bath feel about Brexit? I watch CNBC all day, since I am retired and need to stay abreast of our investments. That’s all CNBC has discussed the last two weeks. I have to admit that if I were a Brit, I would not want 40,000 bureaucrats in Brussels making the rules about how I should live. I am not exaggerating about the 40,000. Did you know that the EU specifies the strokes per minute on a tractor windshield wiper? Not making that up, either. I will get off my soapbox. Did anyone ever tell you that you would do well in the Navy, since you like the upper rack? I was in the Navy for seven years before I started my civilian career. There was not much space between the racks. Anyway, Buen Camino! I hope you have a great trip. You have such a good attitude. If you lose something, like your soap, say a prayer to St. Francis and you should find it right away. Works every time. Nadine, I am only a few miles from you in Weston super Mare for my daughter’s wedding tomorrow. How wonderful if we could have met. Not much time to think about Brexit right now with so much going on and grandchildren to be looked after, but it is hugely worrying and stirring up some despicable emotions whilst our country flounders rudderless in a sea of confusion and disbelief. On a more positive note, enjoy your stay in England ( and Scotland?) and I look forward to your blogging. Buen Camino! Oh Bath is such a lovely city. If you get a chance you should check out the thermal spa baths. Great way to relax before a camino and get over the jet lag! Have a great trip! Being at home one day and dressed in full Georgian costume in a different country the next is a bit of a juxtaposition, but it sounds as if you really enjoyed yourself!